Ever since its release in the year 2010, AngularJS has started gaining popularity as a framework with a wide range of features, benefits, and functionalities. AngularJS is used for developing feature-rich web and mobile apps. You can hire AngularJS developers for your app project and avail its advanced features. A few noteworthy names like PayPal, Netflix, Weather.com, the Guardian, and Upwork have relied on the AngularJS framework for website development. As a highly useful platform for front-end web app development, AngularJS has the following major features. Data-binding can save a lot of time of developers in writing a plethora of boilerplate code. It enables the developers to focus on the functionality and features of the application. AngularJS has two-way data binding. The app developers find it complicated and cumbersome to manage the subtle balance between DOM (Document Object Model) components and the model. On one hand, the model can change the DOM components, and on the other hand, DOM elements require changes in the model. Therefore, the developers have to interpret the interactions between them and merging the model. It can lead to a bigger and more complex app. Now, AngularJS offers two-way data-binding to synchronize between the DOM components and the model. It makes the AngularJS developer’s life easy. While developing the client-side web apps, AngularJS implements something like MVVM (Model-View-View Model) instead of MVC (Model-View-Controller) pattern. Here it is interesting to point out the difference between the model and the view model. The model is nothing but the app data, whereas the view model is an object to provide precise data and ways to maintain app-specific views. Simply put, AngularJS offers an advanced and more convenient way to deal with MVC for app developers. When it comes to making the app development and testing simpler, the DI (Dependency Injection) feature is a blessing for the developers. DI facilitates the developers to ask for their dependency and enables them to get rid of doing it themselves. It is a major plus point of AngularJS platform. This feature is specifically useful for designing a single page application. One of the most important features of AngularJS framework is directives. Developers can build custom HTML tags that can work as custom widgets by using directives. They are also useful in “decorating” components and elements with a necessary behavior and manipulating the DOM elements in the most attractive ways. AngularJS has easy-to-customize components. Talking about the UI, AngularJS offers a structured and easily manageable user interface with effortless learning markups. The platform utilizes HTML to develop the app’s UI. As a result, the developers can come up with an expressive and appealing UI for your business web and mobile app. AngularJS offers the following key benefits for tailored application development. You can hire AngularJs developers to make the most of this futuristic and feature-rich framework. 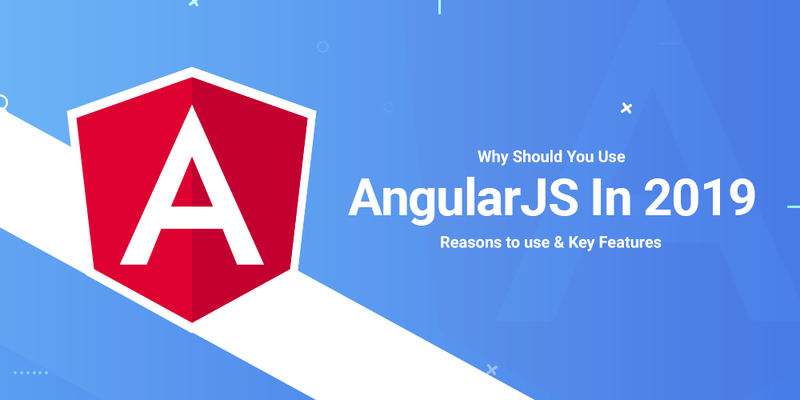 Dedicated features like API Client, Animations, Routing, Form Validation, and Filters along with ease of access make AngularJS the most preferable platform in the domain of web app development. Features of AngularJS can make the web and mobile app development process faster as compared to other frameworks. In a way, AngularJS can save time and efforts of developers that directly reflects the development cost. Another important benefit of AngularJS is it enables developers to reuse the identical code. Again, it saves both time and efforts of developers while enabling them to develop a similar web app rapidly. Also, when it comes to modification or customization of the web app, it is easy to introduce necessary changes in the code. AngularJS is an extension of HTML attributes, and therefore, app developers can readily build the customized web application. The AngularJS app development process is quick and requires fewer efforts. The developers can pay more attention to the app’s performance and functionality thanks to rapid development. AngularJS-based apps have great testing compatibilities as the platform offers support to both unit and end-to-end testing. The developers can test the app at any development level to ensure the functionality of your business app. In brief, improved efficiency, easy testing, convenient customization, and excellent performance are a few of the noteworthy benefits of AngularJS app development. Google’s backing and the ever-growing community are the two most important reasons for the increasing popularity of AngularJS. You can hire AngularJS developers to build sophisticated and robust applications in both web and mobile domains. All you need to select the right AngularJS development services provider to get advanced app solutions with a seamless performance for your business. At Semaphore, we provide highly flexible engagement models when you hire AngularJS developers. We offer three different models- ODC Model, dedicated resources on an hourly basis, and Onsite model to meet your web and mobile app project requirements effectively. With over 23 years of experienced and more than 4000 accomplished projects, Semaphore ensures the performance and quality of the customized app solutions based on AngularJS.